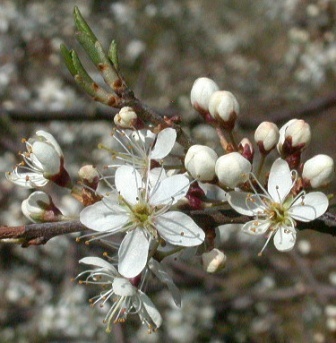 Sloe seems to have been originated in Europe or West Asia. But it grows North West Africa too. 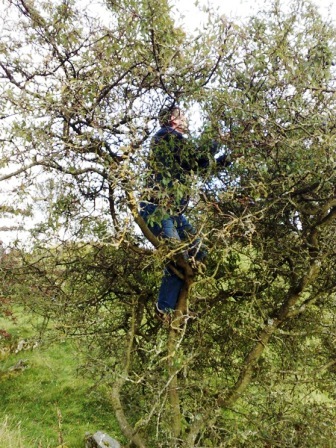 People of these areas have been collecting fruits of sloe from the wild since ancient times. Sloe has now traveled to other parts of the world as a specimen plant in gardens. A large, deciduous shrub or small tree growing upto 5 m tall, with blackish bark and dense, stiff, spiny branches. Leaves oval, 2–4.5 cm long and 1.2–2 cm broad, with a serrated margin. Flowers 1.5 cm wide, with five slightly creamy-white petals; they are produced shortly before the leaves in early spring, and are hermaphroditic and insect-pollinated. Fruit a drupe, 10–12 mm in diameter, black with a pale purple-blue waxy bloom. Though sloe fruits contain about 10 per cent sugar, but still they taste quite due to high acid content. These are astringent too. So sloe fruits are not very palatable for taking fresh. These are, however, used in making jams and jellies. 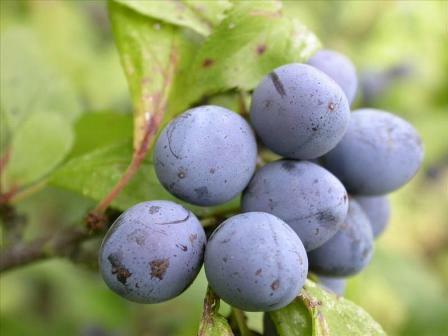 Sloe fruits are used to make sloe gin in rural Britain. 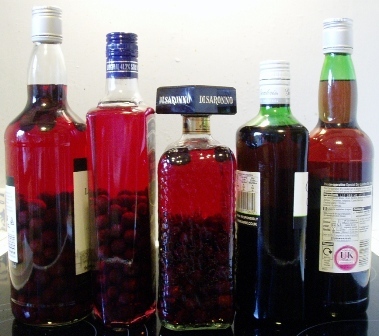 Though sloe gin is not a true gin but an infusion of vodka, gin, or neutral spirits with the fruit to produce a liqueur. A popular liqueur called patxaran is made with sloes in Spain. Wine made from fermented sloes is considered a delicacy in Germany and other central European countries. Sloes are also preserved in vinegar and are similar in taste to Japanese umeboshi. The juice of the berries is also used for dying lines. The fruits are also dried for off season use. Sloe fruits are high in mineral content, especially potassium. 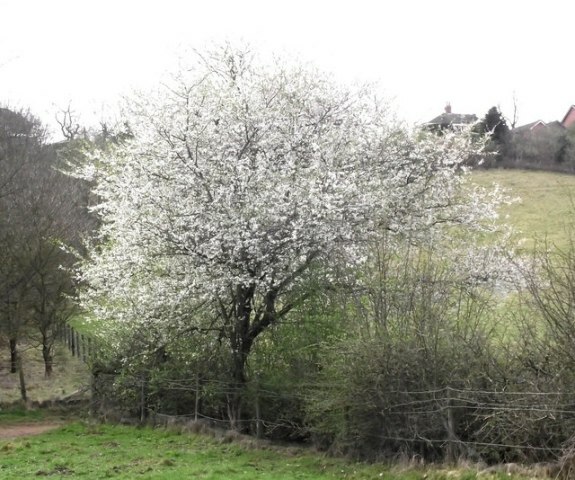 Shrubs of sloe are mostly planted as protective hedge and these are very suitable for this purpose because of the presence of thorns. New plants can be raised from seed but it is very slow. The seeds may take upto 18 months to germinate. Propagation is aso possible from softwood cuttings and air layering.